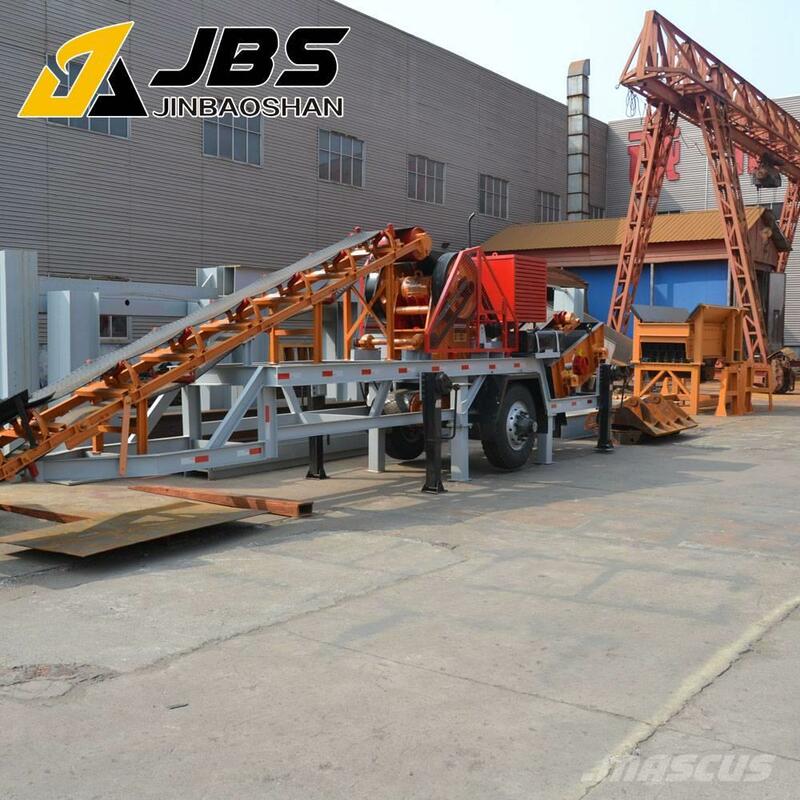 Øvrige oplysninger JBS Mobile Crusher Plant provides a new field of business opportunities for contractors, quarry operators, recycling and mining applications. It offers high efficient and low cost project plan without environment limit for the client. 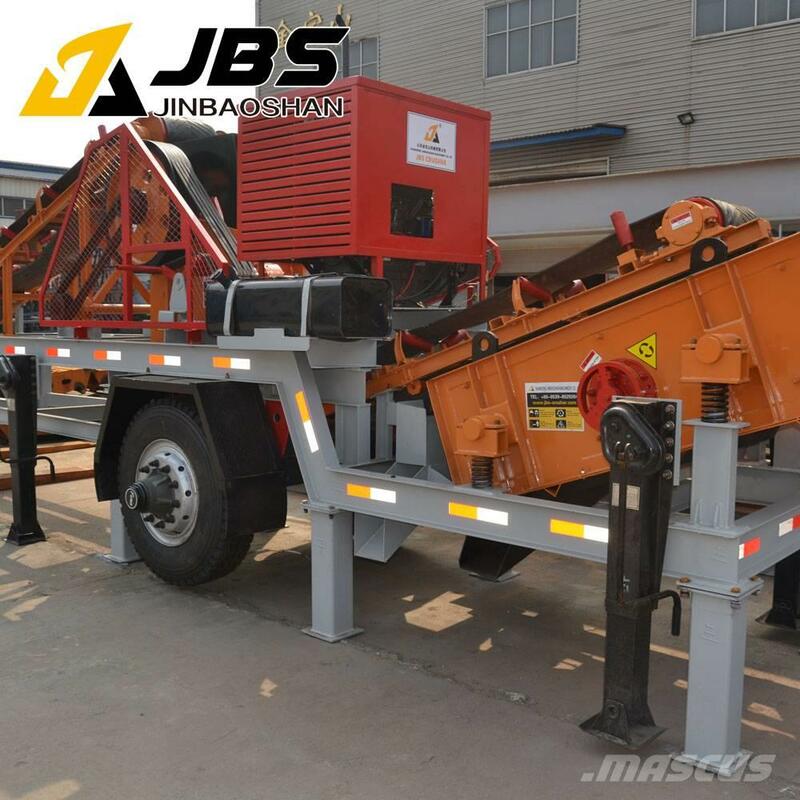 JBS Mobile Crusher Plant incorporates all the equipments together on one truck, which has high chassis, narrower body compared with other trucks, this ensure the crushing plant be easily transported on highways and moved to crushing sites, so it is able to achieve on-site crushing without material transporting from one place to another place. In addition, the lengthened plant is able to transport the final products to the motor-lorry directly. 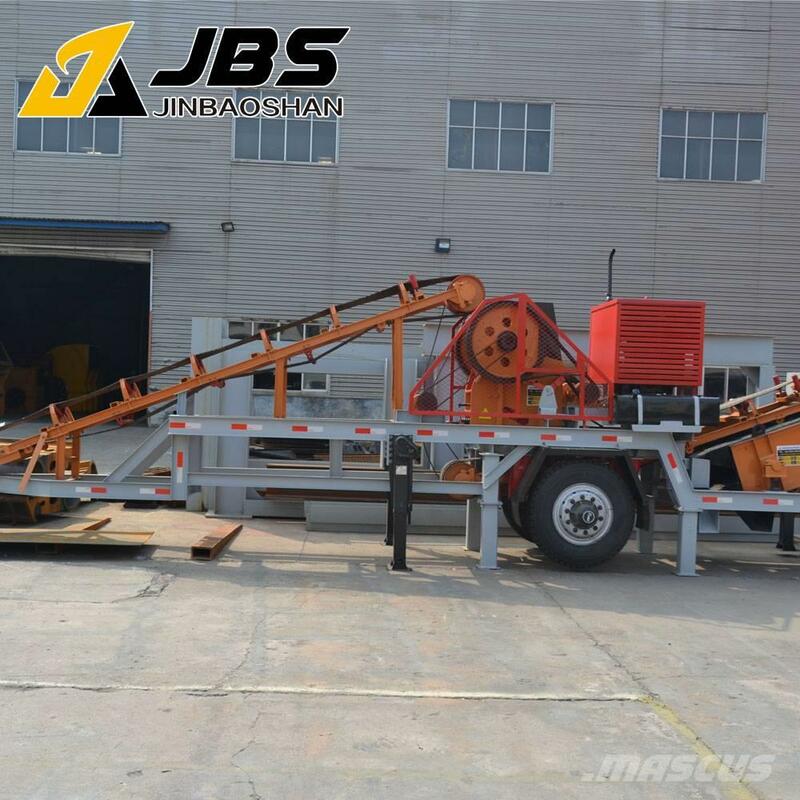 The mobile crusher plant can start to work soon even in the bumpy groud without reinstallation, so it saves more time and money than fixed crushing plant which needs to install individual equipment one by one. 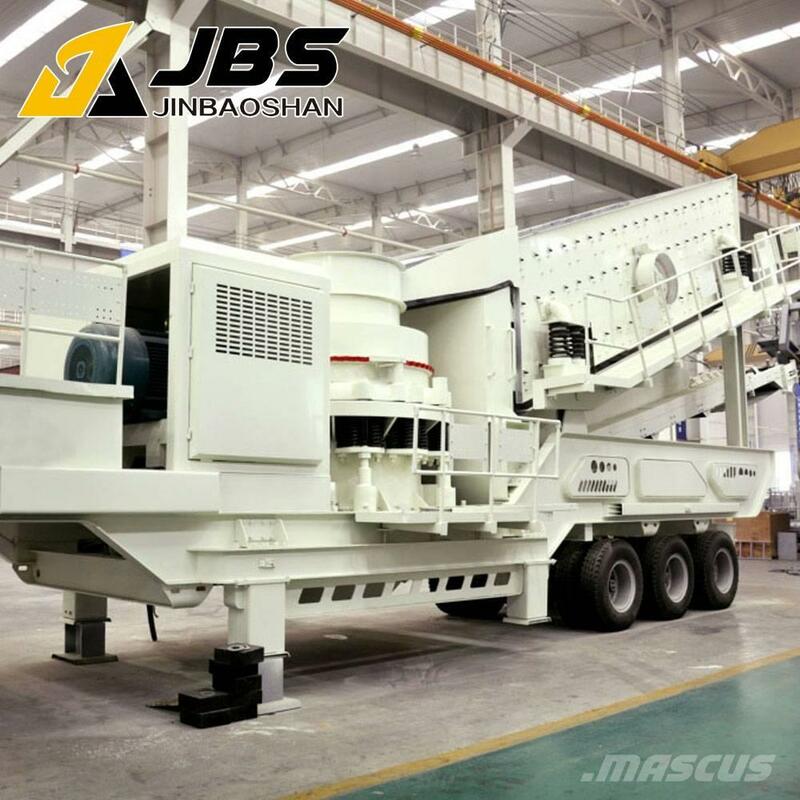 JBS Mobile Crusher Plants can work independently or together with other devices according to coarse crushing or fine crushing requirements. Side discharging chute supports more screening and transporting ways. Diesel generators of the incorporated plant can not only supply power for this plant, but also suppy power for other plants of the process flow.